This natural stone usually forms where sand is laid down and buried. For instance, The famous red rocks of the Grand Canyon were formed in a desert setting. The sand grains in sandstone give information about the past such as the kind of countryside that produced the sand or how far they were transported. Depending on the mix of rock fragments, sandstone may have a wide range of colors from nearly white to nearly black, gray, brown or red. As a landscaping and building stone, sandstone is full of character. 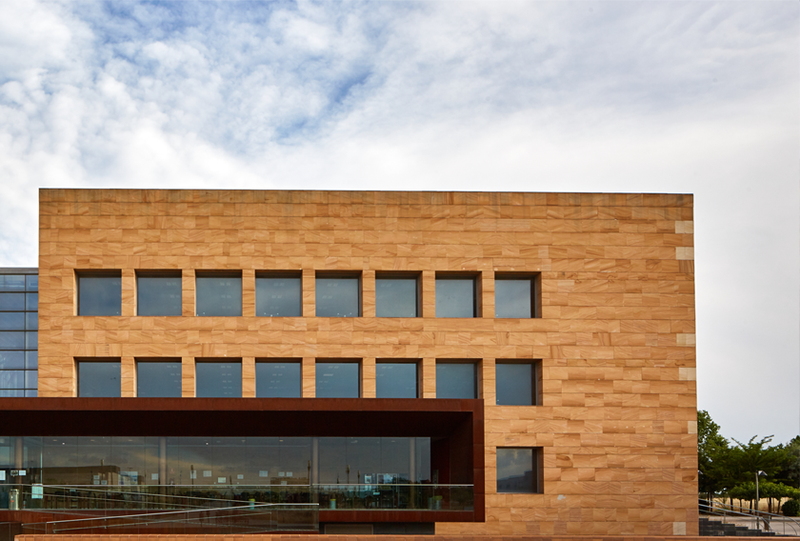 Outdoors, this type of natural stones are also used for cladding facades and interior walls. You can find garden benches, patio tables or swimming pool edges. 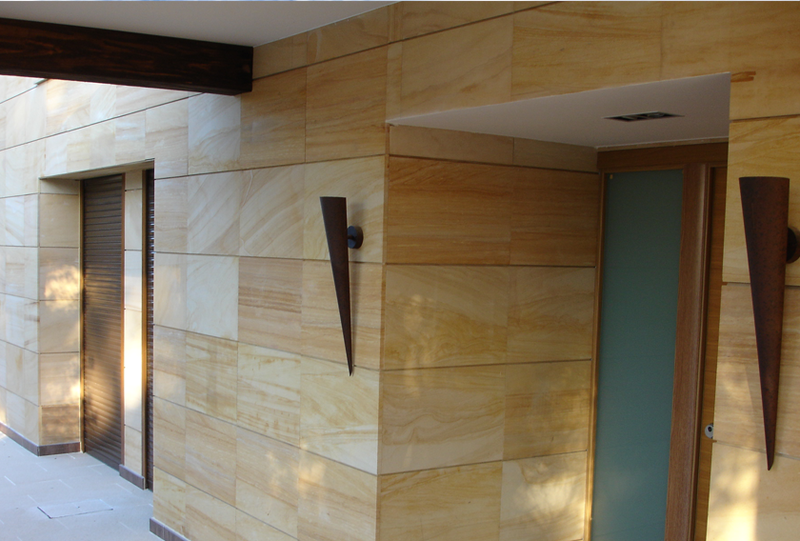 Sandstone is recognised fo its natural strength, durability and slip-resistant properties. This stone withstands the harshest climates, increasing in value and aesthetic appeal over time. One of the best examples of architecture usind sandstone is Petra. In fact, the sandstone layers in Petra were the leading factor of the location and the architectural details. 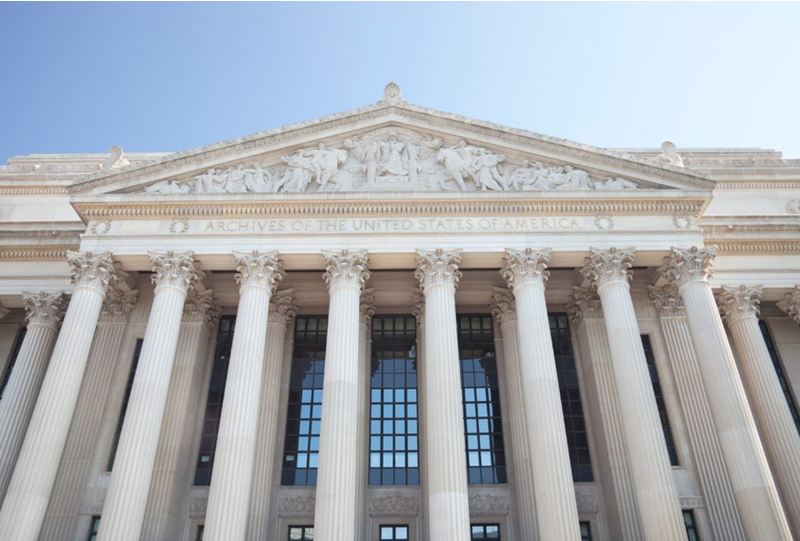 The White House of the United States is one of the most popular buildings using sandstone for its facade. Designed by the Irish architect James Hoban, the Presidential house is clad in pale gray sandstone. 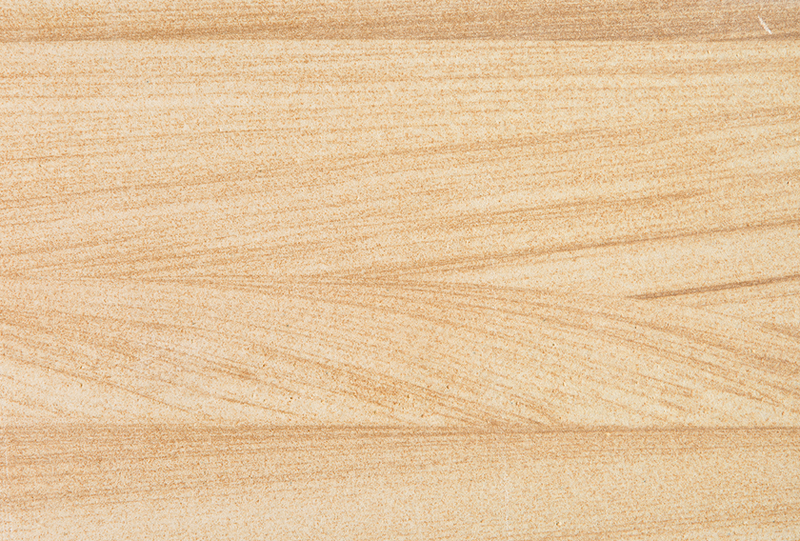 TEKA SANDSTONE is a beige colored rock with a distinctive wooden look and brown grain. Available in a standard format of 60x30cm and 60x40cm, with a thickness of 1.5 to 3cm, this natural stone can be used for facades, interior walls, exterior walls and swimming pools. This natural stone can be produced in any size up to 200×100 cm. TERRA SANDSTONE is an earth colored rock, homogeneous and light. Available in a standard format of 60×30 cm and 60×40 cm, with a thickness of 1 to 3 cm, this natural stone is installed in facades, interior and exterior walls, interior and exterior floorings, gardens and swimming pools. It can be produced in any size up to 160×80 cm. For further information, check CUPA STONE website.